Last Thursday, a town hall meeting at Harvey Government Center in Key West drew a large crowd that erupted in opposition to a proposal to release genetically modified mosquitoes this coming Spring. It’s a proposal from a seemingly strange choice – the United Kingdom. British company Oxitec is petitioning the U.S. Government for permission to release male GE Aedes aegypti mosquitoes that contain a gene whereby they die unless receiving an antidote in the form of antibiotic tetracycline. The males released will live long enough to mate, but the offspring will die before maturation. The proposal that is now gaining ground has been in preparation for three years, with significant involvement by Wellcome Trust. In 2012, the plan to go through was thwarted when a resolution didn’t pass. Of course the company insists that the technology is totally safe. The expressed idea behind using Key Haven for the trial run is to eradicate the possibility of dengue and chikungunya viruses – yet, the area hasn’t experienced dengue since 2010. 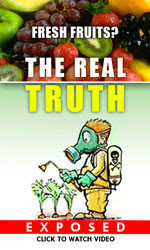 The FDA, CDC, USDA, and EPA are in tandem reviewing the process. Among the most vocal opponents is Mila de Mier, whose massive petition caught a lot of attention. There are lots of questions that need to be answered. This is bigger than a couple people raising objections; the government is trying to do an experiment with the people of Florida. The Aedes aegypti mosquito is not native to the Keys. Future resistance problems when certain mosquitoes don’t actually die off [and what problems would that pose for potential disease too]? The mosquitoes’ effect on the bat population that feeds on them. Where are the peer-reviewed safety studies to support Oxitec’s safety claims? Could other disease-carrying mosquitoes fill in the void left by a dwindled Aedes aegypti population? Critics also contend that Oxitec cannot completely sort mutated insects by gender, resulting in the release of biting females into the environment (male mosquitoes do not bite humans). Oxitec spokesperson Chris Creese said it was possible some females could get released but being bitten by one was no different than being bitten by a wild female…. They are all transmitted by this species of mosquito – So yes, it is clear the virus will mutate. But if you can stop the mosquito, you can stop the disease. The safety of the GM mosquitoes has been reviewed by regulatory agencies in Brazil, Malaysia, Cayman and Panama…and none of the agencies determined any [increased] risk to human health or the environment. All the unanswered or non-reassuring answers to the questions lead to a fear that even scientists have of a major ecological disruption. Even the company cannot answer concerns with complete certainty. However in the open environment one has harsher conditions and we don’t see that level of survival. We haven’t seen any survivors after a couple of weeks. But a big question remains unanswered – why now? Why the urgency? Why did the wheels for this trial project keep turning after dengue disappeared from the Keys? Why is Oxitec (and Wellcome) so willing to generously finance the entire operation? I think a look at the people behind the company is revealing. Syngenta, Bayer, biotech and pharma alums top the list. A final comment from the Oxitec spokesperson who pointed out to dengue outbreaks in the Caribbean Islands as a reason for prompt release. The situation is, can we afford to do nothing? Prevention is the best defense. In other words, this is a vastly uncharted and extreme preemptive move – where no threat currently exists. Where no other options have been placed on the table for future possibilities. Where no benefits exist except for a trial run to test their work on insects, a human population and the ecosystem. Are BPA Laced Foods Now Connected to Hypertension Too? Be the first to comment on "British Company Offers No Reassurance to Concerns of Proposal to Release GM Mosquitoes in U.S."